A fistful of wine. A mouthful of garlic. 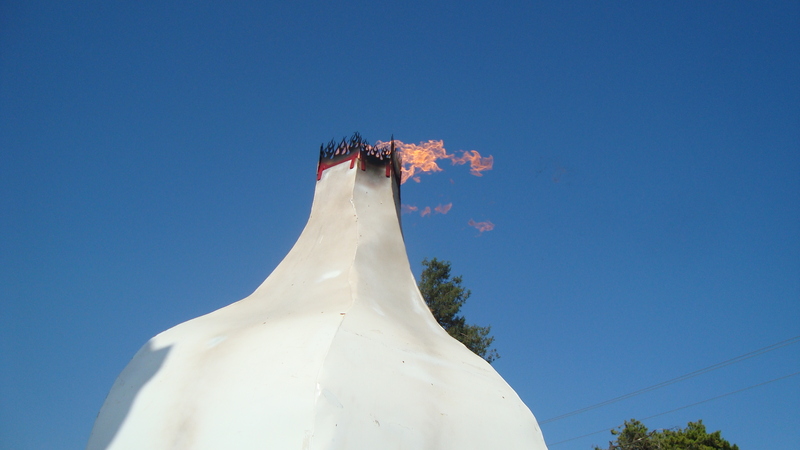 THE Gilroy Garlic on Fire! A garlic calamari cooking demo w/ Angelo Sosa. Up close and personal at Gourmet Alley. 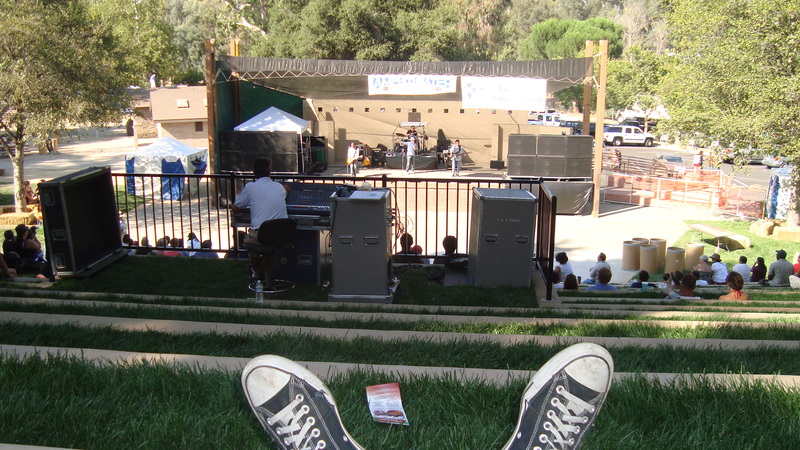 Listening to okay music at an amazing amphitheater. 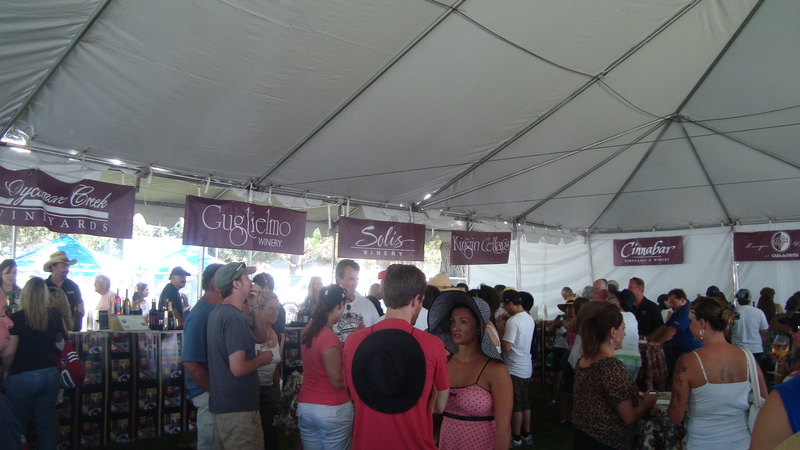 The wine tent. Don't mind if I do. Sarah’s Vineyard 2008 Roussanne: Though with a bit more oak that I would have expected, the crisp acidity made this white the perfect starter to a hot day of wine tasting. Creekview Vineyards 2008 VCR Merlot: A juicy cherry with wood. Not bad, but not great. Martin Ranch Winery 2006 JD Hurley Cabernet Sauvignon: Good red fruit with backbone. A bit of black olive on the finish. Very nice. Satori Cellars 2007 Ha-Ha Petite Sirah: Inky red fruit and chocolate. Okay. Fortino Almond Champagne: This is the signature wine of the Santa Clara Valley. There are quite a few wineries that make something like this. Though artificial tasting, the almond flavor really rounds out this nice sparkling wine. 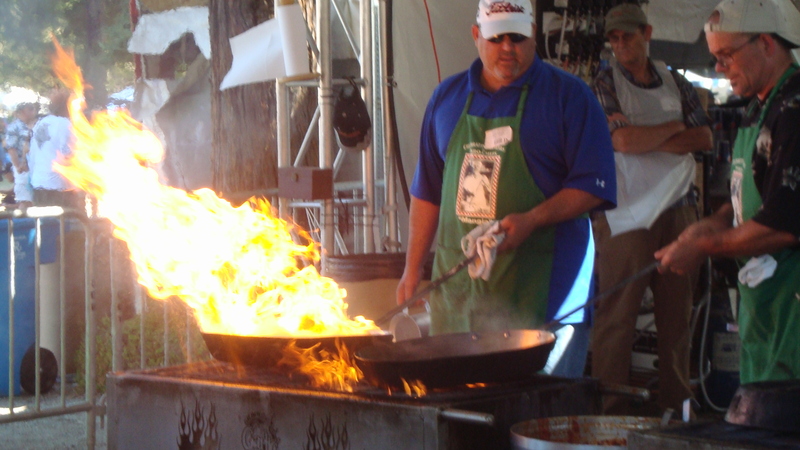 During the festival, I did take some time to enjoy the food… I mean… You’ve got to! The garlic sausage sandwich was off the hook! When they say garlic, they mean garlic. Imagine a sausage just loaded with garlic inside of the meat. Now let’s saute that sausage in a pan with garlic. Put it on some garlic bread. Now top it with 4 cloves of chopped and sautéed garlic. Tasty, but man… My mouth was coated in garlicky goodness for the rest of the day. Mmmmmmmmmmmmm. 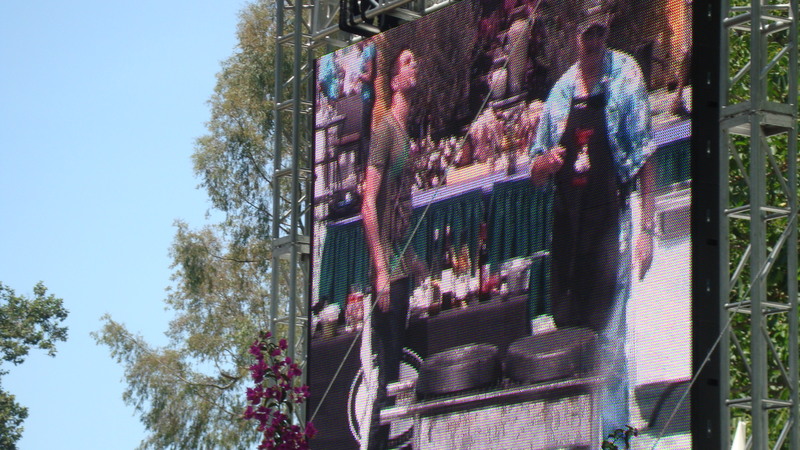 In 2008, Kara and I took a day trip up to Napa. We used to make it a habit to stop by the Napa-Sonoma Wine Country Visitors Center just off of highway 29 coming into the Napa Valley. It’s the perfect spot to stretch your legs just before you make your way to the wineries. They have a small area for wine tasting, and will give you coupons and recommendations for some of the wineries in the area. “Have you been to the Hess Collection?” the server asked us. 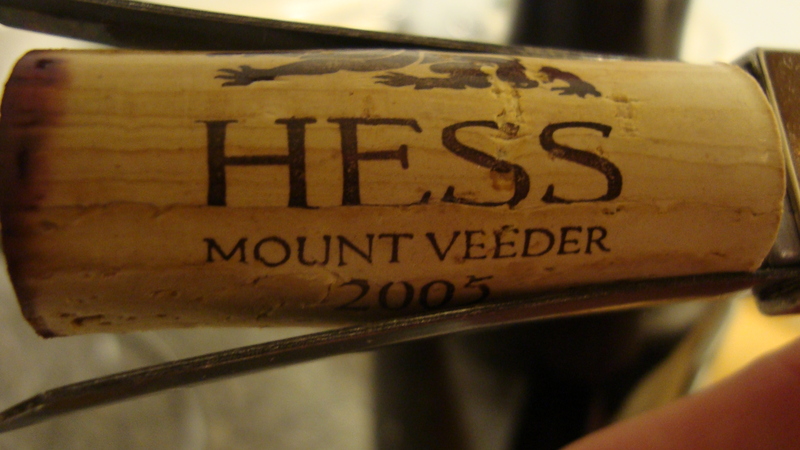 Hess is just a bit off of the beaten path, at the top of Mount Veeder. Once you get there, you’ll be glad you took the trip. Not only does Hess specialize in making tasty Bordeaux-style wines, but the tasting room is also home to an amazing art gallery. I will never forget the room that looks like it’s full of giant pieces of dog poop. I would have taken a picture, but they wont let you… It’s an art gallery thing. So we bought a bottle. I’m not sure how much we paid for it in 2008, but the current release lists for $36 on the Hess website… So we’ll assume that’s what we paid. At the time, that was the most we had ever paid for a wine. So we held onto it… until this last Friday. That’s over 3 years, if you’re counting. One of my fears was that the older cork would crumble if I used a regular screw pull, so I used the Ah So to open this bottle. The cork in the Ah So. Decanting on the kitchen cart. See! If you trusted me, I wouldn't have to show you this. 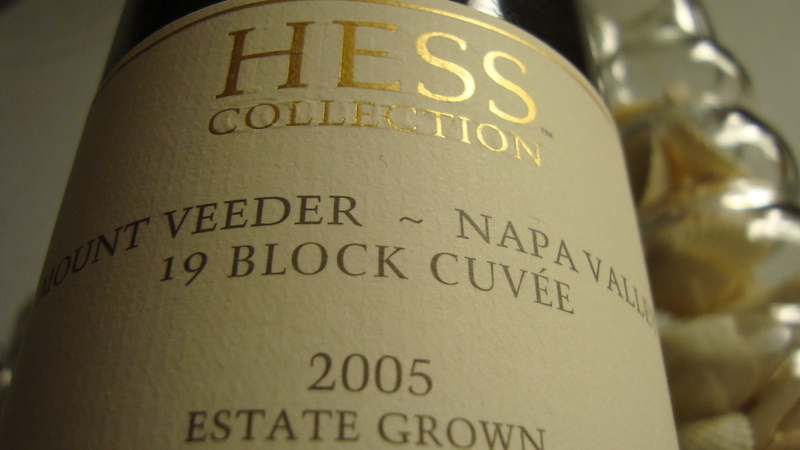 The Hess Collection 2005 19 Block Cuvee! The 19 Block Cuvee is named after the 19 selected blocks of grapes at the Hess Mount Veeder estate which make up this wine. It’s made from 74% Cabernet Sauvignon, 10% Syrah, 9% Malbec, 5% Merlot, 1% Cabernet Franc, and 1% Petit Vedot. Color: Deep purple. Inky. Almost black. Nose: Black cherry. Anise. Mint. Wood. Plum. 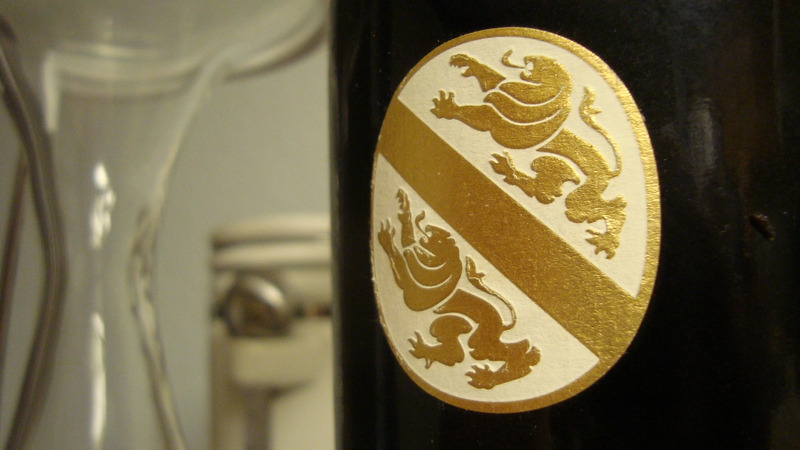 Taste: I’m really glad that we opened this wine up on a whim, because it tasted like this wine has reached its peak. 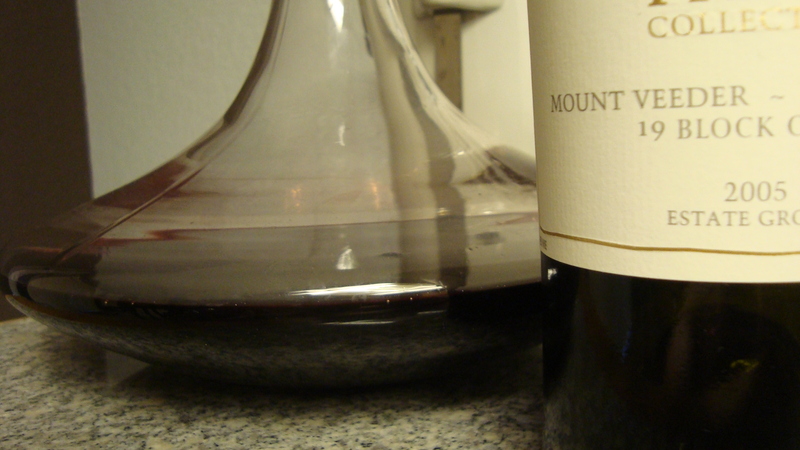 This wine is all about mouthfeel and subtlety. 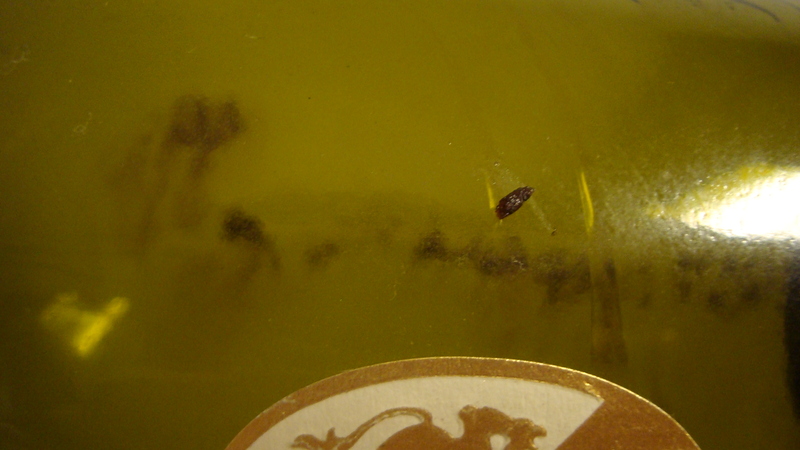 It’s got these smoothed out tannins that I would not have gotten if I’d have opened it 3 years ago. It is silky, with hints of lacquered wood. The fruit has nearly dropped out completely from this wine, but there is a bit of dried cherry skin and chocolate on the finish. Score: This was an interesting experience. This wine was very refined. I felt important while drinking it. The one thing I felt the 19 Block missed was some sort of creaminess to round it out. I’m giving it a 90+, but I’m sure it would have been amazing with some vanilla ice cream. Would my tasting notes be different if I hadn’t eaten a grip of garlic earlier that day? This entry was posted on August 1, 2011 at 7:33 pm and is filed under Uncategorized. You can follow any responses to this entry through the RSS 2.0 feed. You can leave a response, or trackback from your own site.